Alive and loud, Electromatic Center Block guitars are designed for that pure and powerful Gretsch sound at high volume. Painstakingly crafted with essential Gretsch sound, style and playability, these all-new models deliver the fearless and electrifying authenticity that has set Gretsch apart for decades. It's the sound of honor itself - play proud. 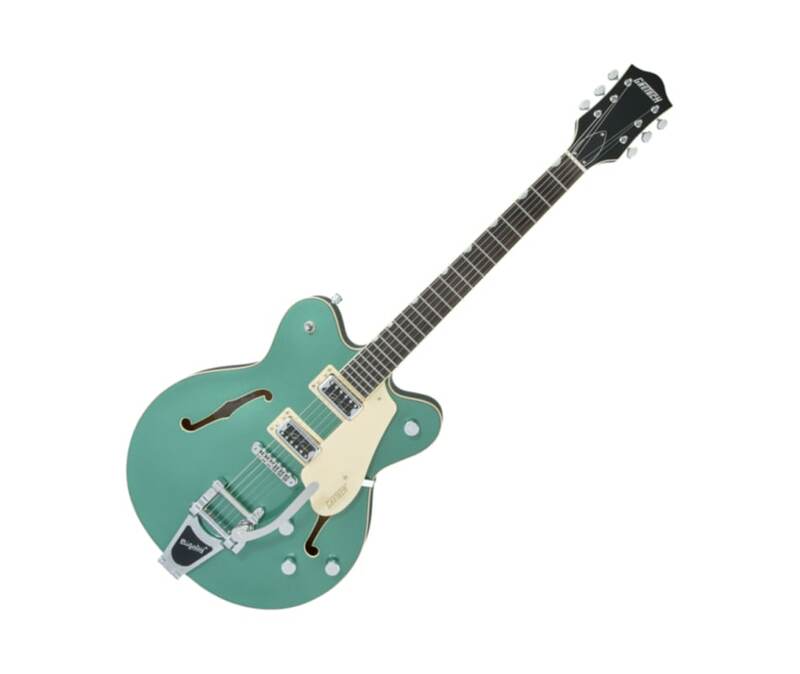 The G5622T Electromatic Center Block Double Cutaway with Bigsby features a chambered spruce center block for dynamic resonance, high gain power and lightweight comfort. Also equipped with dual Super HiLo'Tron humbucking pickups that deliver bold, dynamic and articulate tone with enhanced sonic punch.